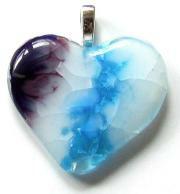 Everyday there are more and more glass enthusiasts making tutorials for fused glass. It’s fun to see what inspirations are out there. 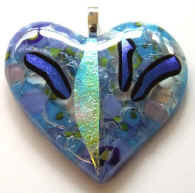 Today I found a video on making fused glass hearts. Very easy to do…I found this video through a web site in England (don’t you just love the “World Wide Web? ), Ju-San. The creator is Dee. The tutorial is beginner friendly but those of you with cutting experience can take it to the next level. It’s a good place to start though…enjoy.